– Organic bespoke cotton tee shirts in a short boxy cut that my stylish friends say is “very good”. 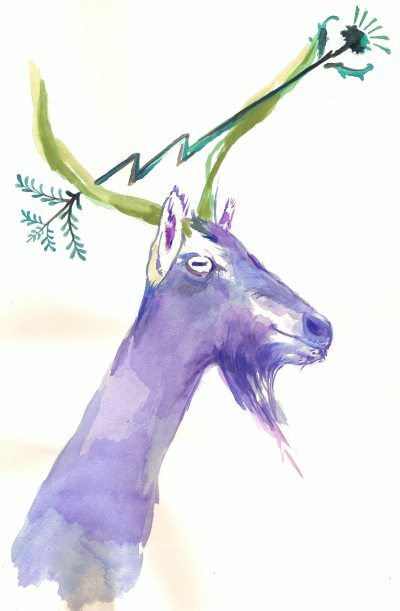 – Printed on the front is this beautiful image of a purple goat. On the back, Greenhorns Film Project. – Available in three sizes (S,M,L) and on a sliding scale. We’ve also got new stickers! More details to follow on that.